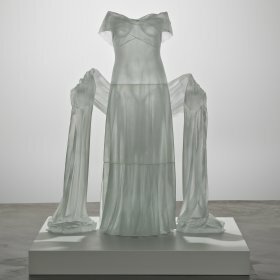 Working in the Czech Republic, Karen LaMonte casts life-size glass figures using the lost-wax method to create a detailed mold of a carefully chosen dress. “You read aspects of character by the way a person dresses. I started thinking of the human body and its relationship to clothing as a dialogue,” says LaMonte. In this lecture, LaMonte will discuss her work and its relationship to her Specialty Glass Residency at Sullivan Park, Corning Incorporated’s global research and development center, where she explored processes using proprietary glasses developed by Corning scientists.